“If rapping is a crime then don’t hit ‘play.’ Even your eyes will be sold, here everyone robs you including the king. If things continue this way, there will be more rappers imprisoned in Spain than in American jails." These are some of the lines of a new song released by a collective of Spanish rappers who believe their freedom of expression has been taking away by Spanish justice. 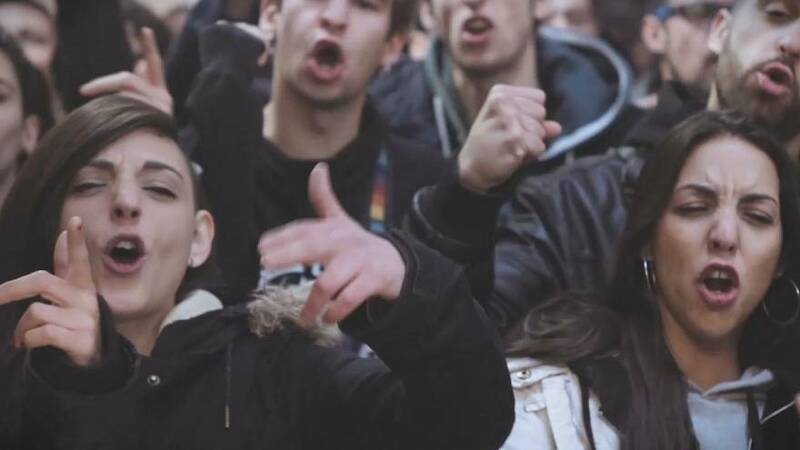 The song ‘Los Borbones son unos ladrones’ (The Bourbons are thieves) was released after three Spanish rappers — Valtonyc, Pablo Hasel, and La Insurgencia — were given "prison sentences for insulting the Spanish crown and praising terrorism." Euronews reached out to Catalan rapper Pau Llonch who’s behind the project. The song’s music video — filmed in Barcelona’s infamous prison La Modelo — has been viewed more than a million times since its release on April 9. There is also a Twitter account with the song’s name where people can leave their reactions. Spain's General Council of the Judiciary was reached for comment.